You may have not heard of Cloud Imperium Games. But this American video game company is behind the biggest crowdfunded video game of all time, Star Citizen. Actually, the project has received more than $150 million US dollars from backers since its Kickstarter campaign kicked off back in 2012, and is one of the most highly-anticipated and talked about games in the PC gaming space, no doubt. So it makes sense that backers were worried when news broke out that Cloud Imperium might be in financial troubles. The reason for this is that the entire UK branch of the company and the rights to Squadron 42 (the single player portion of Star Citizen) had been given as collateral in order to take out a big loan from a banking institution. Of course, this being the internet, the rumour spread like fire… And this left many who had put their faith and money in Cloud Imperium Games’ yet unreleased game feeling insecure about its future. Thankfully, though, the company’s co-founder Ortwin Freyermuth took to the company’s forums to explain the situation, and to deny Cloud Imperium was in any trouble. “We have noticed the speculations created by a posting on the website of UK’s Company House with respect to Coutt’s security for our UK Tax Rebate advance”, said Freyermuth (via Eurogamer). He also added that his company had “elected to partner with Coutts, a highly regarded, very selective, and specialised UK banking institution, to obtain a regular advance against this rebate, which will allow us to avoid converting unnecessarily other currencies into GBP”, also adding that “we obviously incur a significant part of our expenditures in GBP while our collections are mostly in USD and EUR”. Freyermuth went on to explain that this move had to do with avoiding the fluctuations in the currency market, and was a recommendation from Cloud Imperium Games’ financial advisors, and its wish not to convert other currencies into British Pounds. This does make sense taking into account the UK is in the midst of breaking away from the European Union, and that its currency, the Pound, has been quite volatile in the last year. “Given today’s low interest rates versus the ongoing and uncertain currency fluctuations, this is simply a smart money management move, which we implemented upon recommendation of our financial advisors”, said Freyermuth. But despite Freyermuth’s explanations, many Star Citizen fans might likely not be pleased with the fact that this is a game which has been in development since 2012, and that it’s apparently nowhere close to being finished yet. 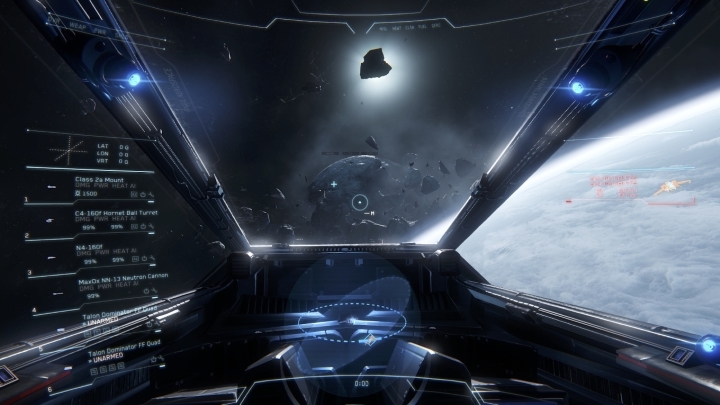 Star Citizen is either the best thing since sliced bread, or a scam, depending on who you ask. But the key question is, when will we get to play the full game? So even if several portions of the game are playable right now, like space flight and combat and the first-person action bits, Cloud Imperium Games has nothing equivalent to a Steam “Early Access” version yet to show for their efforts. 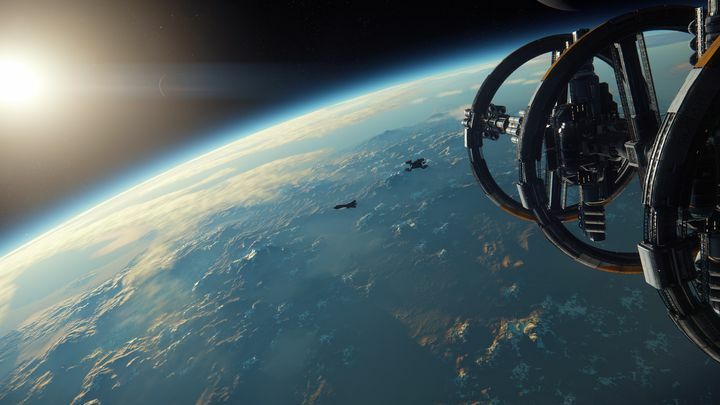 But at least Star Citizen’s Alpha 3.0 version, which will allow players to land on several planets and try many of the game’s features, could be available later this summer. We were also hoping to see more of Squadron 42, Star Citizen’s single player campaign, which boasts a cinematic storyline and an A-list cast of actors including veterans like Mark Hamill and former X-Files star Gillian Anderson. But alas, its projected late 2016 release date was delayed, and there’s no news yet of when the single player portion of the game will launch. Also, Star Citizen’s enormous crowdfunding success and the slowness of its development process has led some, perhaps unfairly so, to call it a scam. Additionally, a former backer demanded to have his money refunded in 2016, and after taking his case to the California Attorney General, did succeed at this. There have also been accusations from former staff at Cloud Imperium, pointing at the game’s creator Chris Roberts and others for supposedly mismanaging the game’s funds and engaging in discriminatory practices at the company, although none of this has been proved to date. Here’s hoping, though, that those eager to get their hands on the complete Star Citizen experience will be able to do so in a reasonable amount of time, and that we eventually get a game as good as the developers have promised when this space epic goes gold in the future.